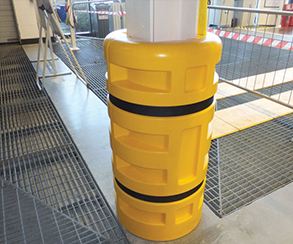 Heavy duty wall and corner guards are provided to withstand heavy impacts in parking, logistics and industrual facilities. 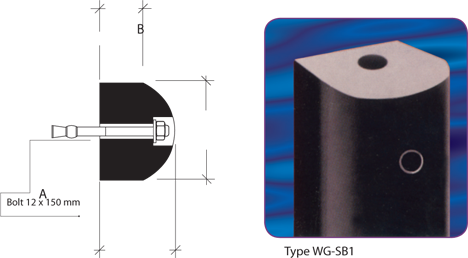 Profiles are produced from EPDM Rubber, Natural Rubber, Styrene-Butadiene Rubber, Recycled Plastic, and Neoprene. 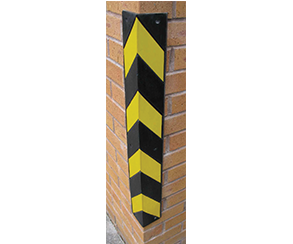 A Wall protectors are designed to protect walls from damages caused by collision as well as abrasions of moving objects. The rubber is formulated to withstand severe working environment. - Used extensively in commercial parking garages and building service areas. - Can be wrapped around cylindrical columns of 46 cm diameter or greater. 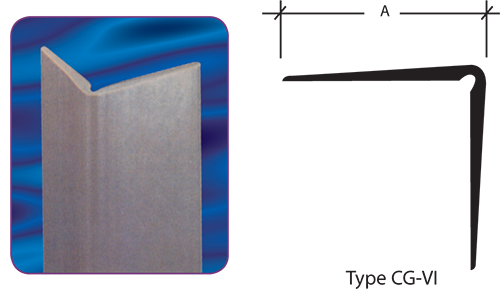 - Profile designed to maximize wall surface area protection & high impact absorption. 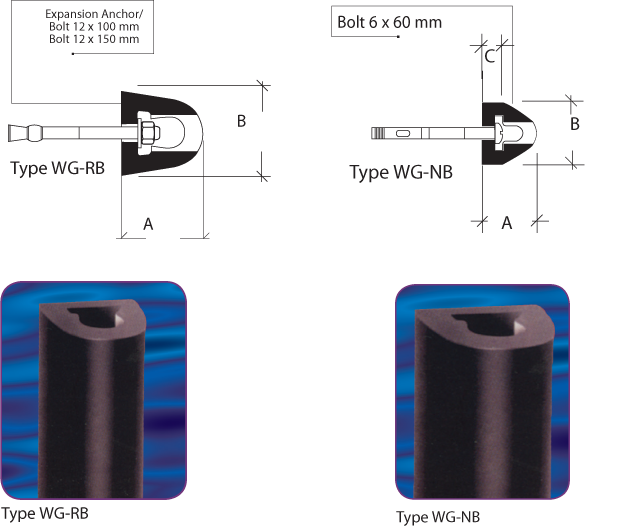 - Type WG - NB is ideal for fastening to carts and equipment edges with its 5.1 cm base. 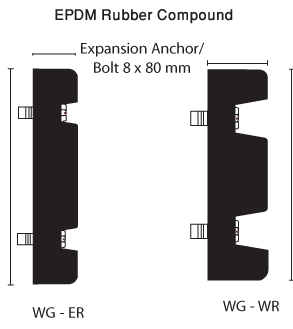 - Type WG - RB Ideal for fastening to carts and equipment edges with its 7.6 cm base. 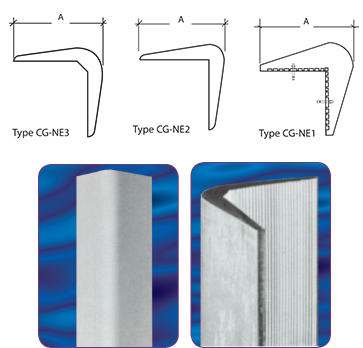 Solid block construction for maximum impact resistance with chamfered edge for safety. - Natural EPDM for outstanding abrasion resistance. - UV, ozone stabilizers provide good weather resistance. - Ideal for exterior applications. - Install using adhesive, or expansion bolt. 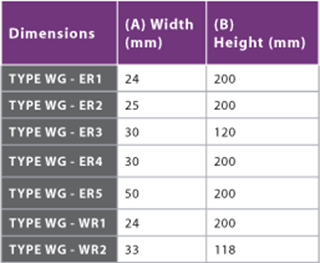 - Type CG-NE3 is available with chamfered corners, and is suitable for many concrete columns and achways in parking areas. - Natural EPDM for maximum impact resistance. 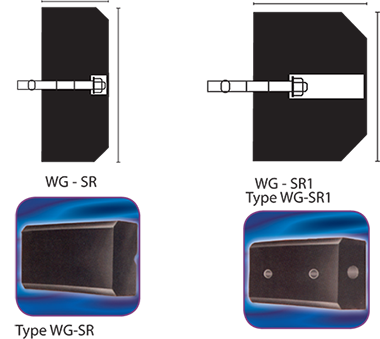 - UV, ozone stabilizers provides good weather resistance. - Yellow reflective strip to cover the fixing accesorries. - For interior applications (hotels, offices, retail stores, carts, cabinets) where low protection is required. - Rectangular shaped dock bumper. - One piece molded construction. - Good abrasion and weather resistance. - High impact absorption to protect docks and vehicles. - For use in commercial loading dock areas and industrial in-plant wall protection. 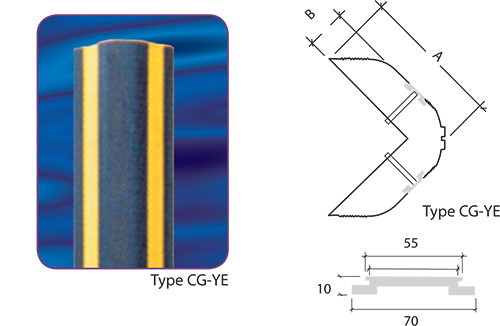 Pillar protectors are designed to protect the corners of columns from damages caused by collision as well as abrasions of moving objects. 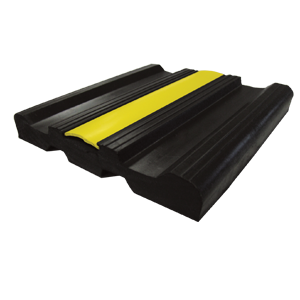 The rubber is formulated to with stand severe working environment. 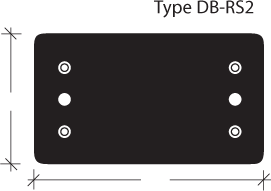 Standard colour of Pillar Protectors is black. However it can be manufactured in different colours as per customer requirement.